This is a small list of DUI defense strategies that help DUI attorneys beat Washington State DUIs. For help with your Washington State DUI case, contact a Washington State DUI lawyer. Like most of the people we help with DUIs, you probably feel hopeless and scared and that is understandable. Because, like most of the people we help, this is probably an isolated incident for you. However, just because you are being charged with DUI does not mean you will get convicted of it. 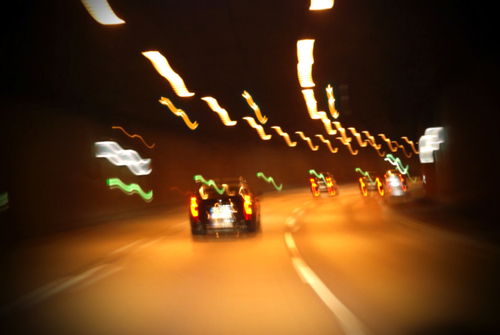 There are several DUI defense strategies in Washington State that can help you with your case. It is just a matter of finding the facts that will help you. We will not leave any stone unturned and will find the best possible outcome for you. Ignoring for the moment the inherent inaccuracy and unreliability of the BAC machines, there are a number of defenses to help us beat your DUI in Washington State. Diabetics experience low blood sugar levels (hypoglycemia). The symptoms of hypoglycemia are impaired motor control, poor balance, disorientation, slow and slurred speech, and flushed face. As you can see, these are the classic symptoms of alcohol intoxication. A person experiencing hypoglycemia will look and act like a drunk driver to the officer, and will certainly fail any DUI field sobriety tests. As surprising as this may sound, Blood Alcohol Content measuring devices do not actually measure alcohol. They use beams of light which are absorbed by any chemical compound, including ethyl alcohol. The more of the light is absorbed, the higher the BAC reading. One of the compounds which can register as alcohol is acetone. A by-product of hyperglycemia is Ketoacidosis, a condition which causes the production of acetones in the breath. So the breath test device will read significant blood alcohol levels on the breath when the person may have consumed little alcohol or none at all. As a result, diabetics could be charged with DUI based on the effects of diabetes rather than alcohol consumption. The BAC measuring devices measure the amount of alcohol that is found in your deep lung tissue. Scientists believe that there is a correlation between the amount of alcohol in your deep lung tissue and the amount of alcohol that is in your blood. For the reading to be accurate, the device must measure the alcohol in your deep lung and not in your mouth or your throat. When you have acid reflux, the stomach acids that contain alcohol travel back from the stomach into the throat or mouth. If you are taking the breath test around the time you are experiencing acid reflux, it will falsely increase the breath test results. In Washington State, the statute requires officer to observe you for fifteen minutes prior to administering the breath test in order to rule out any false-positive readings. However, officers are often doing other things during the 15-minute wait period such as preparing the measuring device or filling out the paperwork. Even if the officer manages to observe you for the entire 15 minutes, the officer may not notice the regurgitation if there is one. As a result, the breath test results will be artificially high compared to your actual blood alcohol level. However, if you drank any amount of alcohol prior to testing, the BAC measuring device will not distinguishing between the alcohol in your mouth from your lung alcohol. As a result, the breath test results will be artificially high compared to the actual blood alcohol level. A Washington State statute allows for the breath test results to be admissible at trial (so long as the other statutory requirements are met) even if the person being tested had dental work, which includes braces, crowns and dentures. However, the BAC measuring devices measure the amount of alcohol that is found in your deep lung tissue. Even a small amount of alcohol in your mouth can distort your breath test results and make your test results higher than your true blood alcohol level. Foreign objects in your mouth, such as braces, crowns and dentures can trap alcohol in the mouth in the dental materials itself or in the food that is stuck in them. This mouth alcohol can then be released into the breath sample, distorting the breath test results. Washington State Patrol is Washington State’s largest law enforcement agencies. Their website will give you access to breath test results, maintenance done to BAC machines, manuals for the BAC machines, etc.